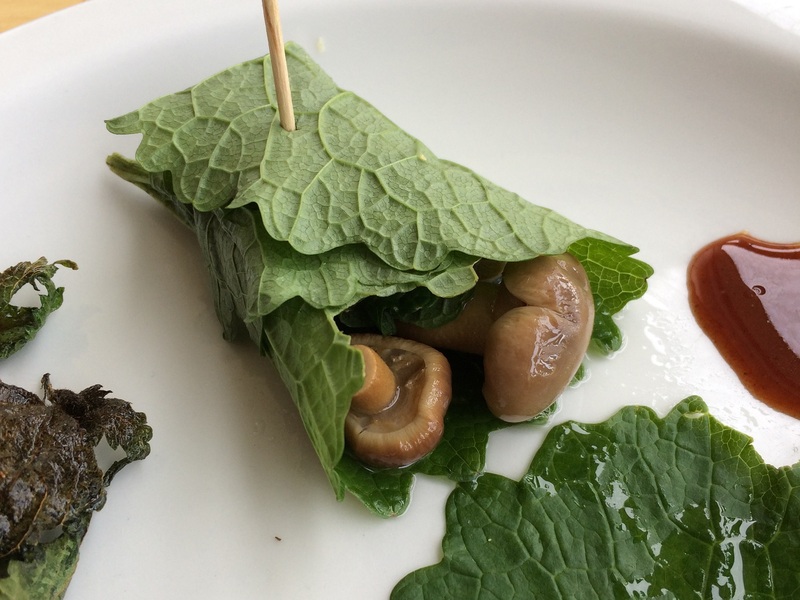 An easy canapé making use of the large basal leaves of Hedge Garlic. 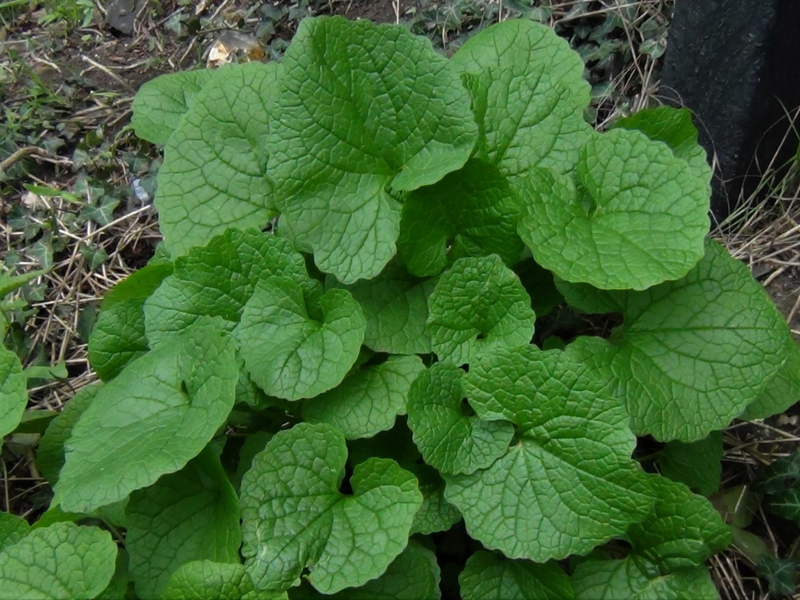 Wipe the Hedge Garlic leaves and wash them in a bowl of lemon juice. Then lay on paper towels to dry. 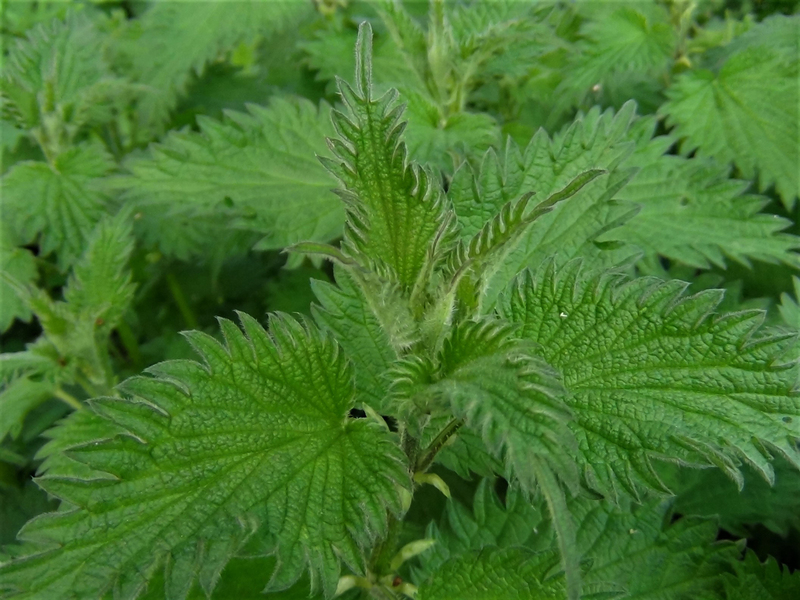 Make Nettle crisps (click for recipe). 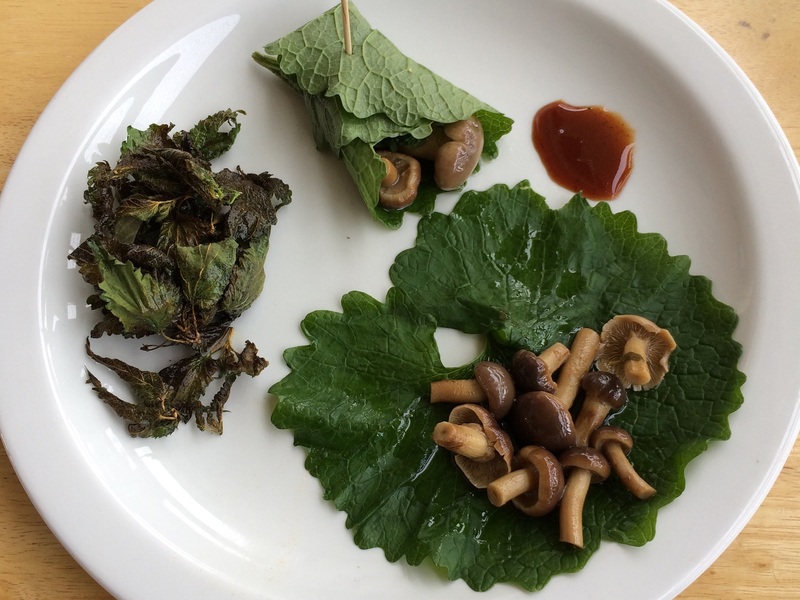 Lay a few cooked or pickled mushrooms on each leaf then sprinkle the nettle crisps over them and top with a small spoon of Hawthorn ketchup. You can add other herbs as well but we find this simple combination tasty enough. Simply fold the leaves to form a wrap and serve immediately. 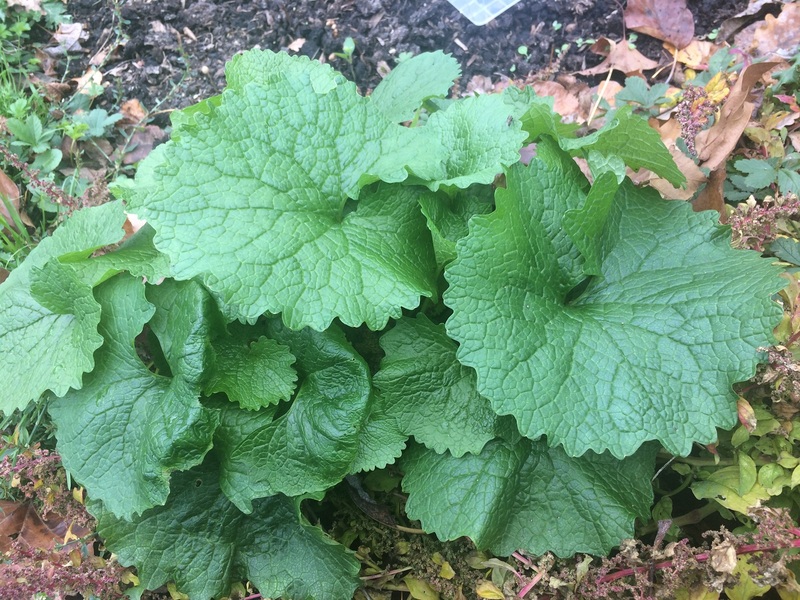 Hedge Garlic basal leaves are large and succulent in late Autumn to early Winter before the first hard frosts and again in early Spring. 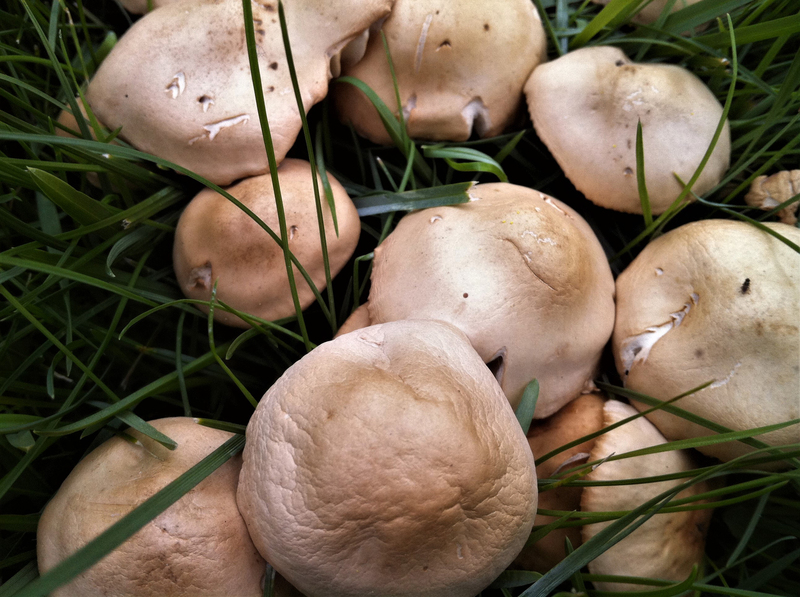 Small mushrooms like Fairy Ring Champignon, the buttons of Poplar Mushroom or Honey Fungus work better here. 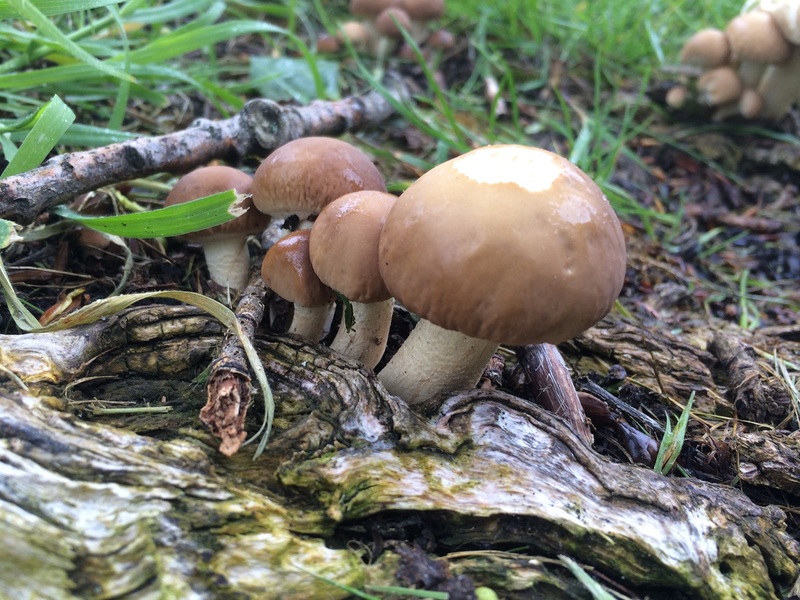 Larger mushrooms can be used by dicing into small cubes. 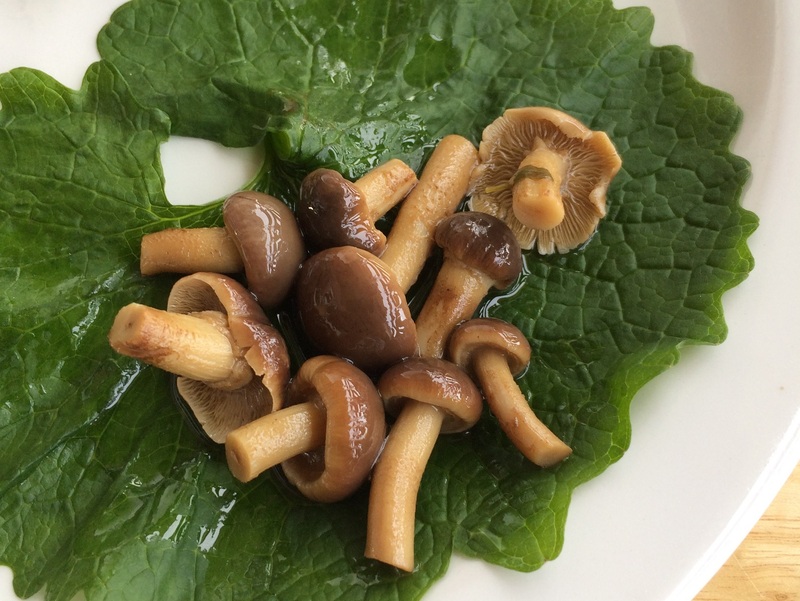 We used mushrooms preserved by pickling. 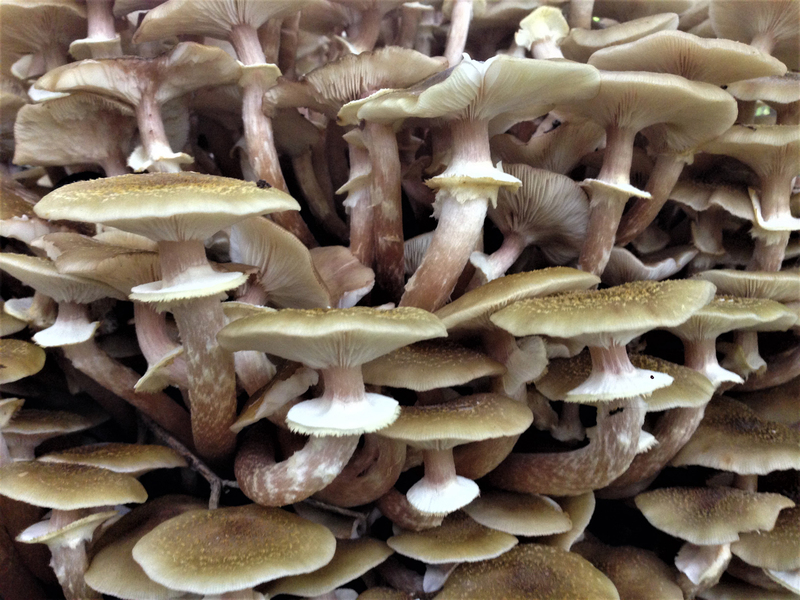 As an alternative you can just cook and drain fresh mushrooms. Hawthorn ketchup was at hand but we can imagine Elderberry balsamic working equally well.